California Health and Human Services Agency Secretary Diana S. Dooley has just cast aside a law intended to protect children from mercury in vaccines. In a letter dated October 9 (see full text below), Dooley is now urging all children in California to be injected with mercury — TWICE! — in the form of flu shots. She then goes on to claim that she might extend the nullification of California law for as long as necessary to keep injecting children with influenza vaccines… whether they contain mercury or not! Remember, too, that California now mandates vaccines for all children who attend public school thanks to the passage of SB 277, pushed by vaccine industry puppet Dr. Richard Pan. Now, with the help of Dooley, California’s government is happily committing vaccine violence against children by pushing for mass injections of a toxic heavy metal known to damage brains and kidneys. 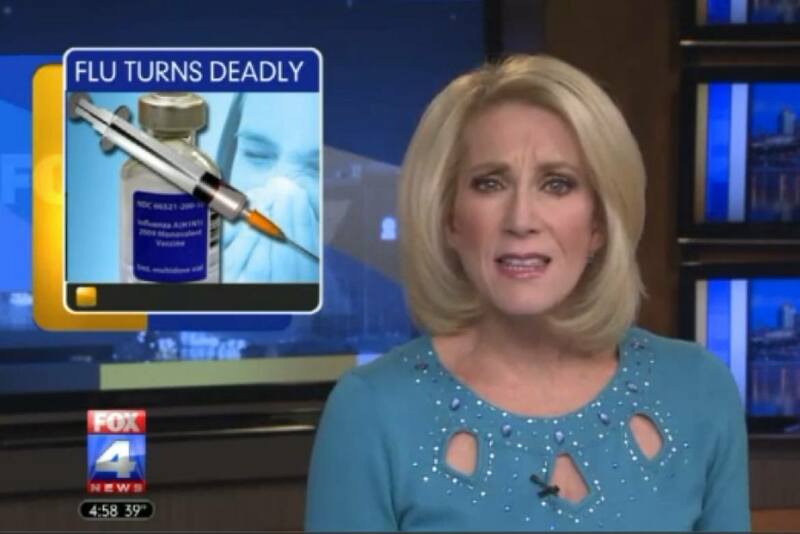 Could the Ineffective Flu Shot be Causing More Severe Flu Outbreaks, Including Deaths? They are in all positions of power. They run the major education systems. They run the world military. California Gov. 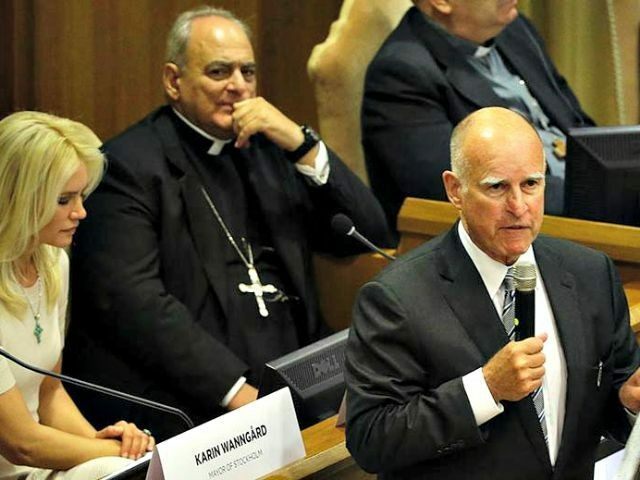 Jerry Brown is heading to the U.N. Climate Change conference, which opens Monday, where he will promote the state’s efforts to curb greenhouse gas emissions and urge other states and provinces to sign on to his climate pact. So far, 57 jurisdictions from 19 countries have added their signatures to a memorandum promising to reduce greenhouse gas emissions 80 percent below 1990 levels by 2030. Brown, a Democrat, has toured the world talking about climate change this year, seeking to build a legacy on the issue before he leaves office in 2018. But at home in California, he has also faced repeated criticism for supporting expanded oil drilling and refusing to ban hydraulic fracturing — positions climate activists say undermine his global warming message. Jesuits were often highly trained in languages and the sciences and were expected to use their technical knowledge, especially in the realm of astronomy, to win over rulers and elites around the world and convince them, by extension, of the superiority of the Catholic message. By 1750, 30 of the world’s 130 astronomical observatories were run by Jesuit astronomers and 35 lunar craters have been named to honor Jesuit scientists. Up until the Jesuit Order was created in 1540, the most common school of thought in regards to Cosmology was that the Earth was Flat and Round, as had been the teachings for 5,000 years. Once the Jesuits gained power around the world, the instilled the global ball Earth theory called Heliocentrism, step by step by step until after just a few generations, everyone on Earth KNEW the Earth was traveling around the Sun at incredible speeds. It began with changing the conversation from one of a Flat Earth and Geocentered to just a debate as to whether we spun around the Sun or the Sun moved around us, completely eliminating the entire Flat Earth theory. Flat Earth theory is never brought up in history lessons, or astronomy classes or by any supossed learned institutions. In fact, it wasn’t until one year ago when “Flat Earth Conspiracy” by Eric Dubay was introduced to the public. Over the past 150 years several courageous Men and Women tried to educate the masses to the great fraud perp’d so expertly, over so long, by the Jesuits, yet know the cat is out of the bag and the truth is available for all to learn. 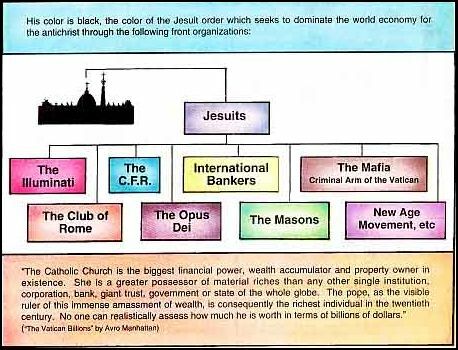 Here is a chronology of how Jesuits have been involved in every step of the way of deceiving all to believe we are just a small tiny insignificant blip in a massive universe vis-a-vis a Earth centered Universe where we are the Biggest Show in the Universe and of most importance. In 1543, Copernicus suggested the sun was at the center of the cosmos. When Jesuit astronomer, Giovanni Battista Riccioli published his Almagestrum Novum or “New Almagest” the title alone suggested the boldness of the project. This was to be a new and updated take on Ptolemy’s Almagest. The book offered new insight into the state of thought about the cosmos in 17th century Europe. The frontispiece to Riccioli’s Almagestrum Novum tells his perspective on the state of astronomy in 1651. 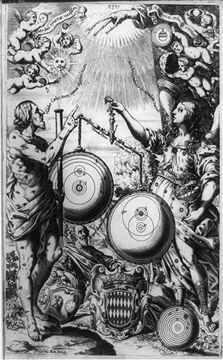 Urania, the winged muse of astronomy, holds up a scale with two competing models, a sun centered Copernican model, and the Tychonic geocentric model. The Ptolemaic model sits discarded in the bottom right corner of the scene. On the right, 100 eyed Argus points at cherubs in the upper right corner of the illustration. The Cherubs hold recent observational discoveries; the moons of Jupiter, a detailed mountainous moon and the rings of Saturn. Under God’s hand from the top of the image, the scale reports the Tychonic model to be heavier and thus the winner. Some of the most interesting details in this illustration are tucked away in the corners. In the upper right corner, among the clouds, are small representations of additional solar systems. Beyond the central diagram, the mapmaker shows the concept of the plurality of worlds. Each of these little sets of circles represents its own solar system with a star and planets. This image directly draws on the literary author, de Fontenelle, who building on the ideas of Newton and Descartes’, explored the significance of living in a universe with a plurality of worlds each orbiting their own stars. Riccioli leans on the authority of a number of contemporary and historical thinkers. He lists 38 different astronomers and thinkers, such as Aristotle, Ptolemy and others who believe the Earth to be the center of the universe. He compares them to the 16 astronomers, including Copernicus, Kepler, and Descartes, who favor a sun centered model. The Aristotelian / Ptolemaic system, with everything orbiting around a stationary Earth, which had largely fallen out of favour following Galileo’s observations. The Tychonic system (developed by Tycho Brahe), in which the Earth was viewed as stationary, the Sun went around the Earth and everything else went around the Sun. After Galileo’s presentations in 1611, this became the favoured model of the Roman Catholic Church. Most Jesuit astronomers (such as Clavius) had adopted this system by 1620. The Copernican system, with a stationary Sun around which everything else revolved. Among Catholics, Christoph Clavius (1537–1612) was the leading astronomer in the sixteenth century. A Jesuit himself, he incorporated astronomy into the Jesuit curriculum and was the principal scholar behind the creation of the Gregorian calendar. Like the Wittenberg astronomers, Clavius adopted Copernican mathematical models when he felt them superior, but he believed that Ptolemy’s cosmology — both his ordering of the planets and his use of the equant — was correct. Pope Clement VII (r. 1523–1534) had reacted favorably to a talk about Copernicus’s theories, rewarding the speaker with a rare manuscript. There is no indication of how Pope Paul III, to whom On the Revolutions was dedicated reacted; however, a trusted advisor, Bartolomeo Spina of Pisa (1474–1546) intended to condemn it but fell ill and died before his plan was carried out (see Rosen, 1975). Thus, in 1600 there was no official Catholic position on the Copernican system, and it was certainly not a heresy. Tycho Brahe, 14 December 1546 – 24 October 1601), was a Danish nobleman known for his accurate and comprehensive astronomical and planetary observations. After disagreements with the new Danish king Christian IV in 1597, he was invited by the Bohemian king and Holy Roman emperor Rudolph II to Prague, where he became the official imperial astronomer. He built the new observatory at Benátky nad Jizerou. 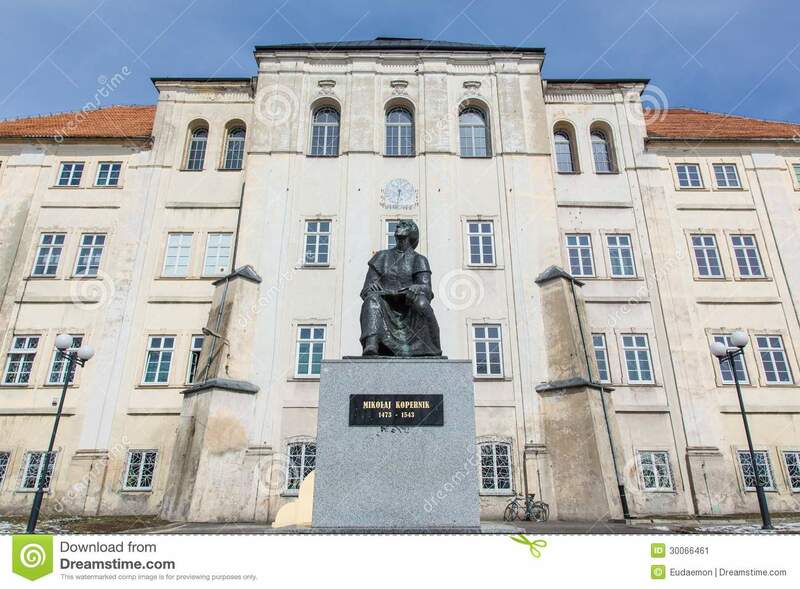 There, from 1600 until his death in 1601, he was assisted by Johannes Kepler who later used Tycho’s astronomical data to develop his three laws of planetary motion. Some acceptance of the Tychonic system persisted through the 17th century and in places until the early 18th century; it was supported (after a 1633 decree about the Copernican controversy) by “a flood of pro-Tycho literature” of Jesuit origin. Among pro-Tycho Jesuits, Ignace Pardies declared in 1691 that it was still the commonly accepted system, and Francesco Blanchinus reiterated that as late as 1728. Persistence of the Tychonic system, especially in Catholic countries, has been attributed to its satisfaction of a need (relative to Catholic doctrine) for “a safe synthesis of ancient and modern”. In 1611 Galileo travelled to Rome to present his findings, and was greeted with great acclaim. He demonstrated his observations of Jupiter to Christopher Clavius, a Jesuit at the Collegio Romano and the most respected astronomer in Europe at the time, who confirmed Galileo’s observations and parts of his theses of planetary motion. He was monumentally arrogant, belligerent and abrasive towards any who opposed him. Galileo had no astronomical proof to offer, partly because his own observations did not align properly with his theory. Instead, Galileo proposed as proof a flawed and unconvincing theory that the tides were evidence of the Earth’s rotation (and, incidentally, specifically denying that lunar attraction was involved). In 1616 the Church ordered him to cease and desist his public advocacy of the unproven theory. n 1623 his friend and supporter Maffeo Barberini ascended to the papacy, and Galileo confidently re-entered the public fray. In the same year he published Il Saggiatore (‘The Assayer’), in which he launched a vicious assault on a treatise on comets by Orazio Grassi, a Jesuit mathematician at the Collegio Romano. Grassi used observations of parallax to argue that comets are further away than the moon; Galileo ridiculed this idea and claimed instead that comets are an optical illusion. His factual error notwithstanding, the harshness of Galileo’s tone permanently soured his relations with the Jesuit order. Pope Urban VIII thoroughly enjoyed the rhetorical flourishes of Galileo’s prose, however, and composed a poem in his honour. The Jesuits at the Roman College undoubtedly followed Aristotle in philosophy and Ptolemy in astronomy, at least for didactic purposes. Earth is under siege from countless factors. Unimaginable and irreparable damage has been done, there is no going back in any time frame that matters. We are now in a battle to preserve what is left of our planet’s life support systems. The greatest single leap we can make in the right direction is to expose and halt climate engineering. The natural resources that industrialized/militarized society has relied on to sustain itself are waning at blinding speed. Rapidly escalating global conflict is directly connected to the increasing scarcity. Global economic, environmental, and societal collapse is already unfolding. No matter how ominous the horizon has become, the vast majority of the population are so far still bent on remaining in denial. Activists in Rohnert Park, CA help spread the word. 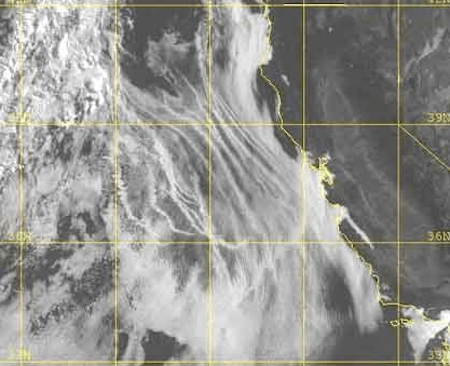 Absurdly heavy chemtrails spraying, layer after layer, last week along the CA coast. 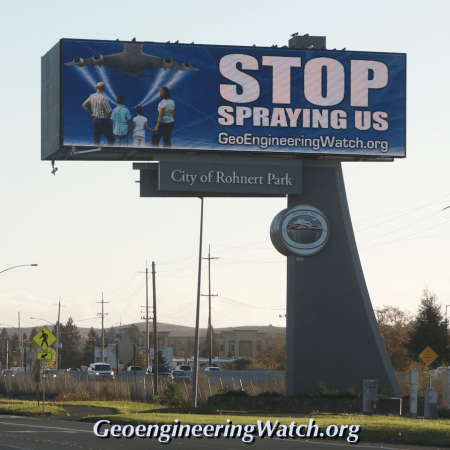 Does anyone care we are being sprayed like bugs? I apologize for leaving the Thanksgiving Dinner early and not saying good bye before dessert was even served. It is very sad and unfortunate that many in our family cannot discuss things that truly matter and that will increasingly effect us all much greater, in a very short time horizon. It is only a couple times a year that all who we hold dear and love the most gather. Many of you wish for only pleasantries and celebration when we gather, yet, as you can discover below, time is short for all on Earth if we don’t immediately halt and change the Geoengineering of our Earth by Mad Scientists and their rulers. “Dont want to hear it” and “Don’t Care”. At the dinner table, a Senior member and I got into a discussion that turned to water. When i pointed out the sheer in-saneness that we have no water yet golf courses, wineries, car washes, etc. were still operating as business as usual, she went off on me and left the table stating over and over and over, “I don’t want to hear it!” and “I don’t care!”. Maybe because she is in her sunset years or maybe she cannot handle just one more piece of bad news or maybe she, and family members, including doctors and dentists in our family, are simply marginalized by Weapons of Mass Distraction. Why Did Russia Bomb the Crap out of Syria Directly After the Paris Attacks? Afghanistan (DU, hundreds of thousands dead in the longest war in U.S. history. check. Iraq (1.5 million dead, DU everywhere). check. Libya (tens of thousands dead, DU used). check. Iran neutralized. check. 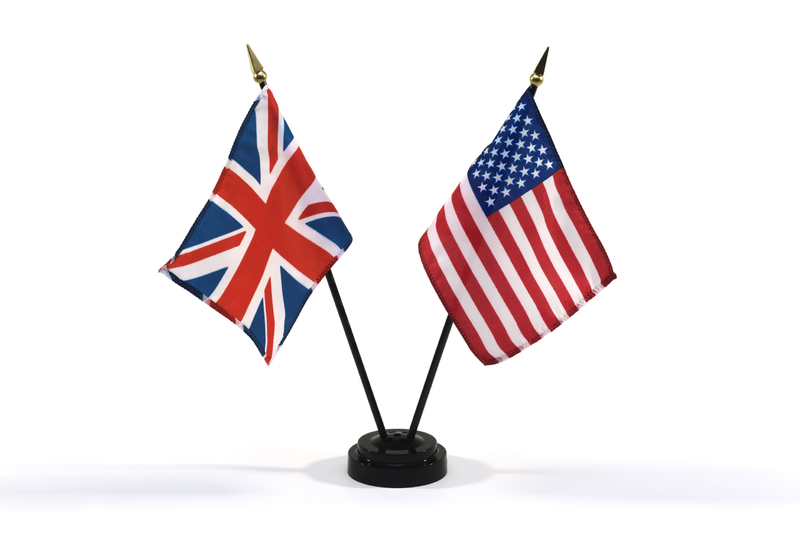 Syria (nuke bombs used)…up to bat….in the cross hairs and set to be destroyed. Does anyone care that we mass murdering brown skinned people en masse, who have done nothing wrong? Anyone? 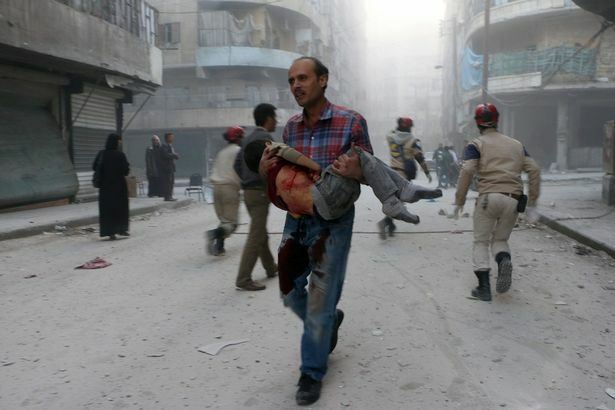 Russia, just three days after the Paris bombings, went in and bombed the mass killing crap out of Syria. Why? Isn’t Russia the “big bad bear” who Western States are still locked in a silent cold war? Didn’t we take on Russia subvertly in Afghanistan? 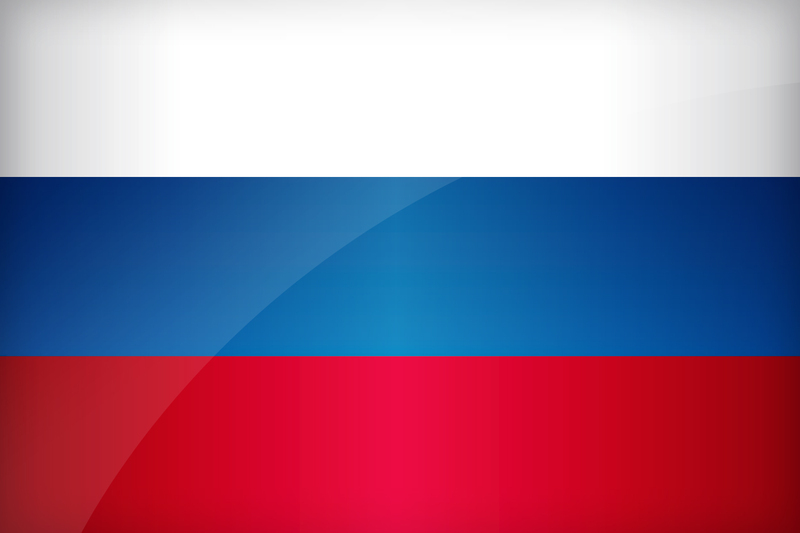 Didn’t Russia just declare on Aug. 6th they were accepting no more GMO food from Western States? Isn’t 20 year on Dictator Putin in verbal battle with the U.S.
Out of nowhere, Cinderella story…. 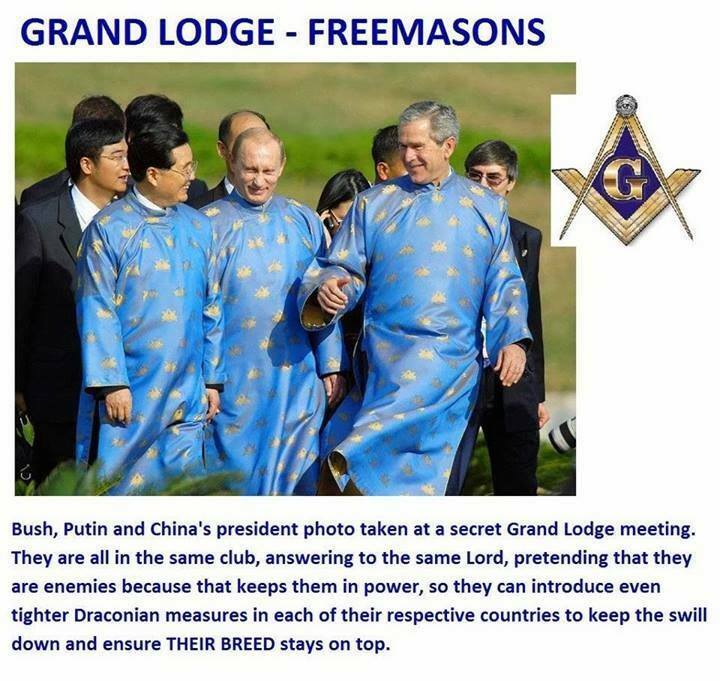 ….for U.S. led coalition to destroy, then occupy, the entire Middle East while fomenting the Jesuit/Illuminati/Israel plans for annihilation of the ME and Israel, as laid out by Scottish-Rite Grand Master, Albert Pike way back at the turn of the 20th century. Vladimir Putin, Russian intelligence officer and politician who served as president (1999–2008, 2012– ) of Russia and also was the country’s prime minister (1999, 2008–12). This Russian attack was “shock and awe”—on steroids. Putin’s air force just used its nuclear bombers to lay waste to the capital of the ‘Islamic State.’ But they also hit areas that have little to do with ISIS. The Russian air force just pulled off one of the biggest and most complex heavy bomber missions in modern history—sending no fewer than 25 Backfire, Bear, and Blackjack bombers on a coordinated, long-range air raid against alleged ISIS forces in Syria.Russian officials notified U.S. planners at a coalition headquarters in Qatar before the strike, Pentagon spokesman Peter Cook said. It was the first time the Russians and Americans have put into action an October agreement to coordinate their countries’ respective operations in Syria. ***Did you read, or hear about the alleged bombings set in a German stadium just days after Paris? No? Well Israel sure did, as the worldwide media propaganda stirs it up where they want, and obfuscates and ignores it when it doesn’t fit THE AGENDA. 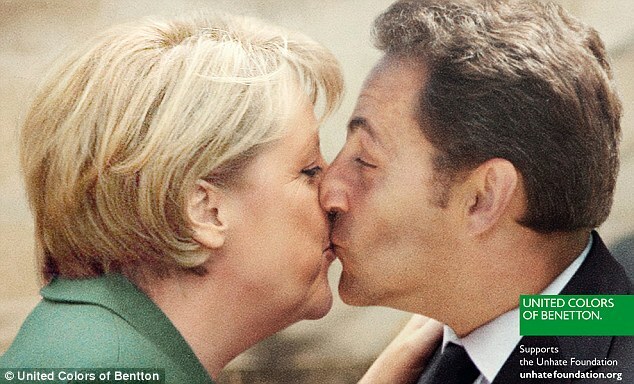 This is how they keep countries in line to follow orders, or else. True to the Red, White and Blue. What are the odds all these country’s chose the same exact colors for their flags???? Highest ever recorded in history: Childhood Obesity. Autism. Allergies. Asthma. ADHD. Childhood cancer. Most: Drugged, tested, vaccinated, in debt, future obligated debt and data mined of any children’s ages before them. Least: Amount of college graduates that start college. Jobs. Financial Security. 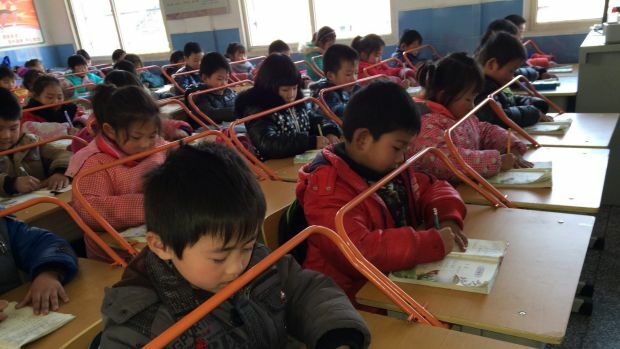 In China, where around 81 per cent of teenagers have myopia, students are being barred from getting too close to their work. Another school has glass walls and as well as glass ceilings to expose children’s eyes to the light. While about 30 per cent of the risk of myopia is genetic, experts say daily exposure to sunlight can stop the disease from progressing. One Chinese school is locking the doors for two hours a day, and refusing to let children back inside. In Taiwan, where about 95 per cent of school leavers need glasses to see into the distance, parents can be fined $2200 for letting their children use devices for “unreasonable amounts of time”. It is regarded as a form of child abuse. 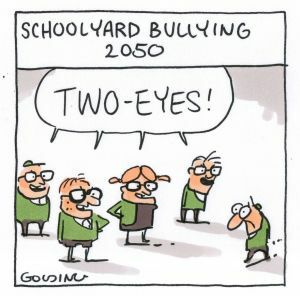 And in South Korea, a study of nearly 24,000 young army recruits found nearly 97 per cent had myopia, including 22 per cent with high myopia, Dr Wilson said. “It’s very worrying,” said Dr Wilson, adding that the rise in myopia has been linked to increased pressure to study, more time indoors and greater use of iPads and other devices. Even more concerning was the high numbers of people – particularly young children and teenagers – with high myopia, around minus 5 or more, which can lead to diseases that cause blindness such as glaucoma, retinal detachment, glaucoma and cataracts. You cannot make this up. ISIS founded by Israel Mossad and named over a decade ago. This is how far out their planning goes. The Government supplies the world with armament so that war is inevitable yet they are going full tilt to take away personal rights to bear arms. Meanwhile back on the plantation …. Saudi Arabia plans mass beheadings, will West protest?